In Product Design over the past 20 weeks we have all been creating desk organisers to store stationery and many other items. We have all made them to be used in an office/somewhere that has a desk space. For the first few weeks we were in the computer room. 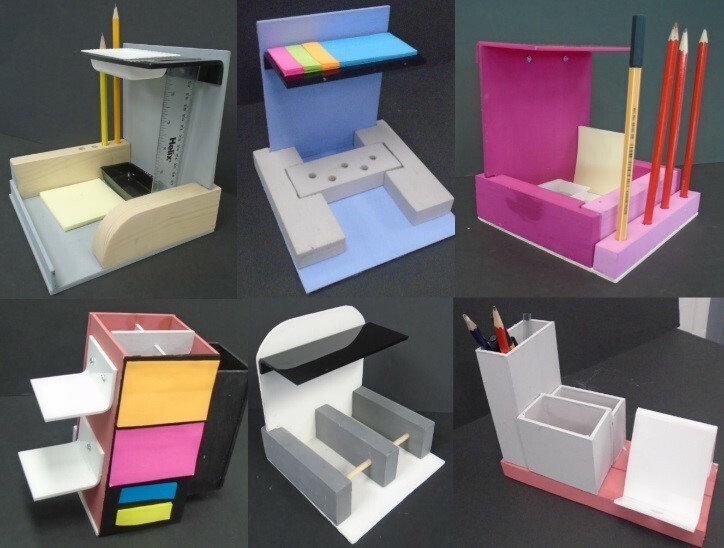 We all did research on desk organisers to see what components we could add to our designs. This helped us to create a 3D CAD drawing which we used to help us create our products in the workshop. The whole class identified a target audience which helped us to decide what our desk organiser should include. My target audience was a teenage girl who would use the desk organiser for her GCSE’s and therefore she would need a lot of storage space. I developed many new skills in the workshop such as how to create a housing joint, which enabled the organiser to be put together. I also learnt how to use the pillar drill for accurate drill holes for stationery and using a line bender to manipulate acrylic. These skills were hard to learn however I am glad I used them because it was fun. I think that my desk organiser was successful, this is because it fulfilled the needs and wants of my target audience. Also, I had used a wide variety of materials and shown a wide variety of skills. As well as making sure my desk organiser was aesthetically pleasing. My desk organiser appealed to my target audience because it had all of their needs and they are now happily using it. 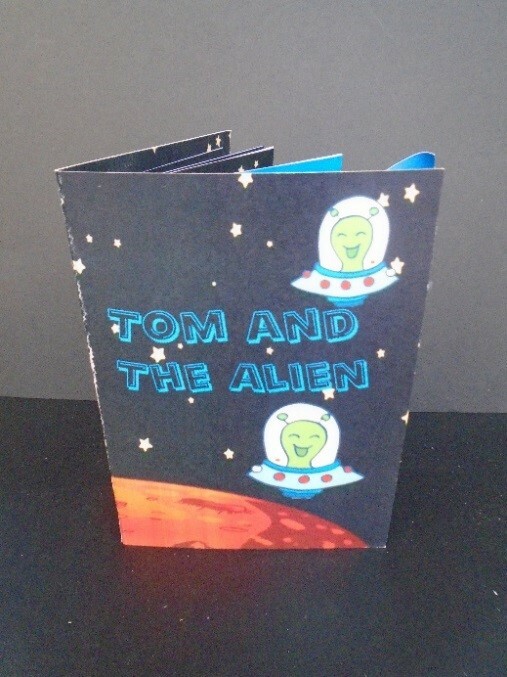 For the last 10 weeks of graphics I have made a kid’s pop-up book called Tom and the Alien! My product was based on space and taught kids how to count. My target audience was any child from the ages 3-5 years old. The story is about a human called Tom flying into space in a rocket, he then meets some really lovely aliens from planet “OOW.” He got on with them so well that he now lives there with the aliens! I have learnt many new skills whilst making this project. Such as; using the cut out studio, colour & crop tools in Serif Draw, using the 3D tool in serif draw to create a point of sale display. Also I have learnt how to score my work (even if I can’t do it very well!) I have learnt how to make parallelogram pop-ups and how to make pull strips. There are so many things I have learnt how to do whilst making my pop-up book. The parts I enjoyed whilst making my pop-up book was designing my book on Serif Draw because it was creative but I hadn’t used Serif Draw before: so I learnt something new. What I found most challenging was actually making the book as I often got it wrong and made a mess! But I overcame these challenges and I just needed to do it again being careful. I think my pop-up book was a success because all the pages link to each other and my story makes sense. The areas I could improve is to make more imaginative and challenging pop-ups as the ones I used were quite simple. I think that my book is appealing to my target audience because it is colourful and interesting. Also it teaches the audience how to count and what wonders might be in space! 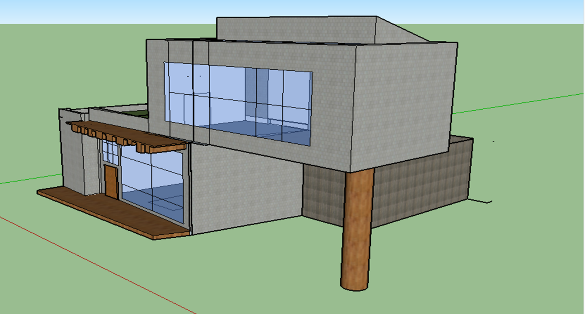 In the project we made a sustainable house on google sketch up. While doing this I learnt some new skills like how to use google sketch up or how to make a 3D shape and how to colour it according to where the sun is. When researching my sustainable house, I learnt that sedum is a great plant to soak up water so it can be used again. I think that I did ok when making the house but I could have made it smaller so it doesn’t take up too much space. I thought that this house might be good for a family as it is big so it can fit a large or small family in, it is also safe for younger children as the balcony has a fence so you can’t fall. I enjoyed designing the house as it was lots of fun knowing that you could make any design you like and that it was up to you. It was also fun learning how to use these programs and I have really enjoyed this rotation can’t wait for the next after half term.